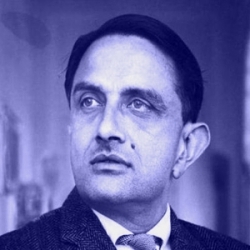 "The man and his mission"
If Indians are proud of the country's scientific prowess and progress in space research, the credit goes to a talented and committed young man - Dr Vikram Sarabhai. Born in 1919, Vikram Sarabhai grew up to be a promising young scientist and innovator. His scientific temper and academic brilliance led him to the called the Father of Indian space program. His most significant contribution is the establishment of the Indian Space Research Organization (ISRO). He persuaded the government of India on the importance of a space program for a developing nation. He along with Dr Homi Bhabha pioneered the establishment first rocket launching station in Thumba, near Thiruvananthapuram. The inaugural flight was launched in 1963, thanks to the herculean efforts of ISRO mentored by Dr. Sarabhai. He was also instrumental in a landmark dialogue with NASA, which resulted in the launch of Satellite Instructional Television Experiment (SITE). He also started a project for the launch of India's first satellite, Aryabhata, which took off in 1975 from a Russian Cosmodrome after his death. Dr Sarabhai also gained popularity as an institution builder. A large number of prominent institutions in diverse fields were established because of his remarkable efforts. Some examples include the Indian Institute of Management, Ahmedabad, Vikram Sarabhai Space Centre, Thiruvananthapuram, Faster Breeder Test Reactor (FBTR), Kalpakkam and Electronics Corporation of India Limited (ECIL), Hyderabad. The Physical Research Laboratory (PRL) in Ahmedabad was launched in 1947, when he was just 28 years old. He also served as the Chairman of the Atomic energy Commission.  SoulPrints applauds the magnificent contribution of this brilliant scientist.